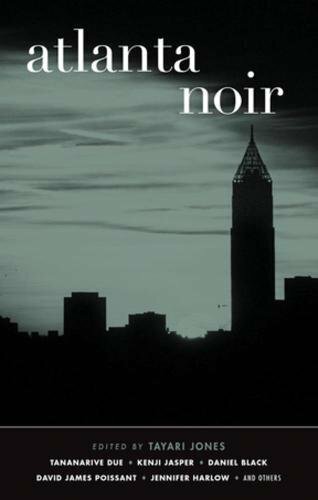 Akashic Books continues its groundbreaking and award-winning series of original noir anthologies, launched in 2004 with the critically acclaimed Brooklyn Noir, edited by Pete Hamill. This time we are in the city of Atlanta with each story set in a distinct neighborhood or location within the city. This collection is edited by Tim McLoughlin. As always with Akashic’s noir collection we are spoilt for choice with an embarrassment of riches; as always, each reader will have their favorite or favorites. Despite the collection being labeled noir, some of the stories could just as easily have been classified as southern Gothic. Atlanta is one of America’s most dynamic and fastest growing cities, with an increasingly diverse population. This volume honors the city’s transformation—albeit in a chilling manner—with a highly talented crew of 14 respected contributors who know the city inside and out, from its souls to its heart: Tananarive Due, Kenji Jasper, Tayari Jones, Dallas Hudgens, Jim Grimsley, Brandon Massey, Jennifer Harlow, Sheri Joseph, Alesia Parker, Gillian Royes, Anthony Grooms, John Holman, Daniel Black, and David James Poissant. These stories do not necessarily conform to the traditional expectations of noir. However, they all share the quality of exposing the rot underneath the scent of magnolia and pine. Noir is more a question of tone than content. The moral universe of the story is as significant as the physical space. In Tananarive Due’s atmospheric and creepy “Snowbound,” our protagonist, Monique with her left foot in a cast, finds herself isolated in a large house with only her much-loved cat, Midnight, for company. But when Midnight mysteriously goes missing in the house, suddenly malevolent company seems to be lurking menacingly in the shadows. In Brandon Massey’s “The Prisoner,” Payne has only been out of prison for a week, but temptation seems to be deliberately stalking him everywhere he goes, despite his attempts to stay a free man and crime-clean. Will he succumb to the temptation of making an easy buck back to prison? Or has fate something else in store for him? Jennifer Harlow’s “The Bubble” brings murder to the suburbs of sleep Peachtree City, but the killers are not your average criminals. Gillian Royes does the classic riches to rags story in “The One Eyed Woman,” and it hits you clear in heart. Each reader will have their favorite story, of course, but for me David James Possant’s “Comet,” will stay with me for a very long time. Poignant and heart-breaking, a father proves his love for his son by doing the most un-fatherly acts a father can commit. Once again, Akashic shows us why it is king of noir and especially anthologies with such high-quality writers and storytellers. We’ve waited long for this beautiful collection of all things dark and murderous, but the wait was well worth it. Atlanta Noir could well turn out to be Akashic’s best work to date.